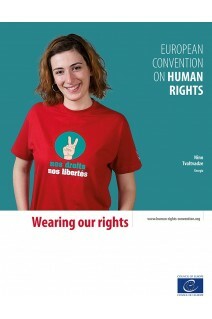 The Council of Europe has found an entertaining way of demonstrating that the values enshrined in the text concern us all and deserve to be “displayed”, inviting a number of personalities and unfamiliar faces of different nationalities to be photographed wearing T-shirts showing 15 of the Convention’s rights and freedoms. The personalities appearing include Tomy Ungerer, Abd Al Malik, Roland Mack, Lilian Thuram, Florence Aubenas, Barbara Hendricks, Bianca Jagger, Thorbjørn Jagland and Maud de Boer-Buquicchio, and they are joined by seven youngsters from European associations who have taken part in activities at the European Youth Centre. 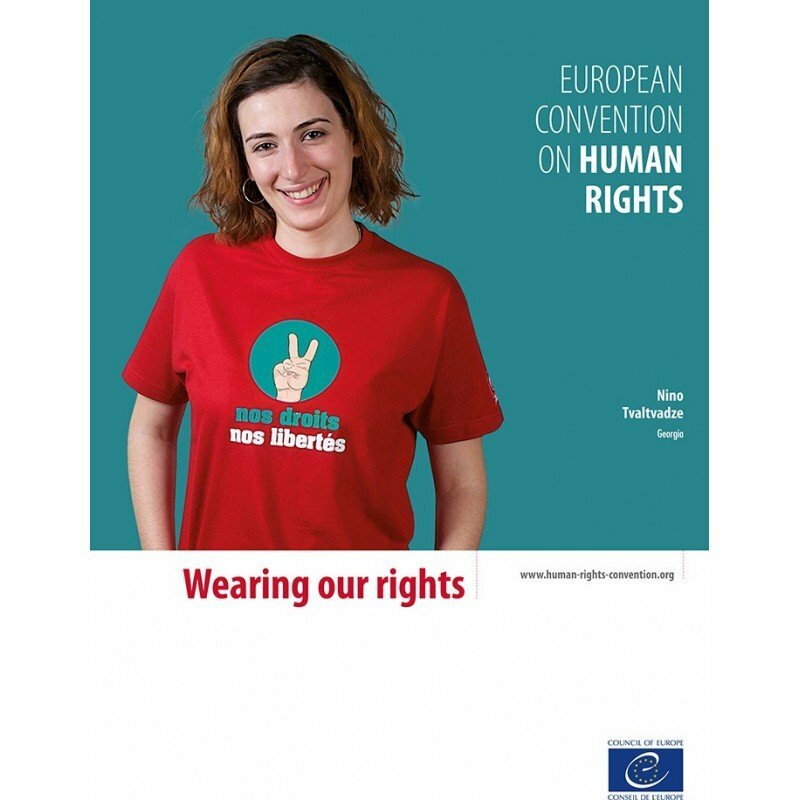 You can now become actively involved in promoting and supporting the European Convention on Human Rights by wearing your own T-shirt featuring an article of the Convention. You can purchase any of our collection of human rights T-shirts, at cost price, each one featuring a custom design of an article of the European Convention on Human Rights.